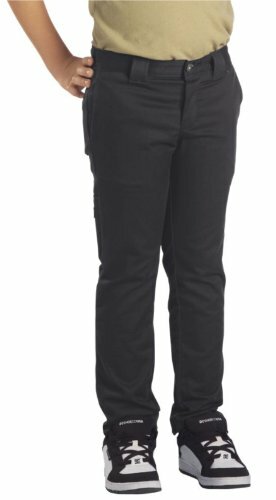 Dickies twill pant is designed with 2 percent spandex stretch because boys are always on the move. Slim fitting through the seat and thigh with a straight leg that tapers or narrows down to the bottom opening. 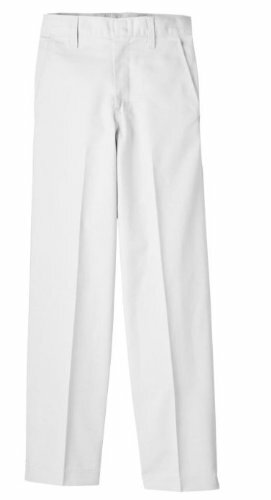 The fabric is brushed for added softness making for a most comfortable pant in a modern 5-pocket style. 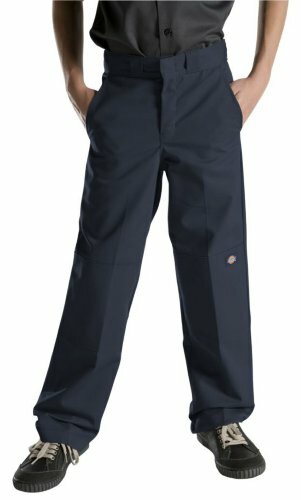 Whether in school or out, Dickies boy's flat front pant is the perfect choice for your child. Features include easy care, no iron, stain release and fade resistant. The durability, comfort and value you have come to expect from Dickies. Reinforced knees up to size 14. 7 3/4 ounce twill. No exterior logo. 10 ounce sanded duck for a softer feel, more comfort. Cross-Over high back style, hammer loop and dual tool pocket. 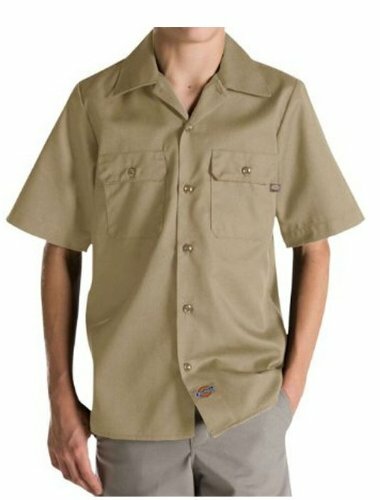 Compare prices on Dickies Kids at ShoppinGent.com – use promo codes and coupons for best offers and deals. Start smart buying with ShoppinGent.com right now and choose your golden price on every purchase.